It’s been a busy weekend for Scranton MMA brazilian jiu jitsu practitioners! Friday purple belt Kevin ‘Road Dawg’ Roginski along with “Big Daddy” Dave Leslie and Matty Leslie jumped in the car and drove to spend the weekend at Capital MMA in Alexandria, VA. The trio spent the weekend travelling Virginia to train with Gracie Jiu Jitsu phenom, Rodrigo Gracie. They reported they had a great time training with the Capital crew and raved about the hospitality shown them by head instructor Jeremy Lafreniere. Being so close to our nation’s capital Kev, Dave, and Matt made sure to visit DC and take in sites such as the Lincoln Memorial, The White House, and Arlington Cemetery. What a cool trip! 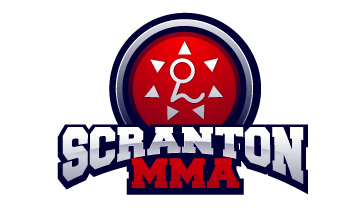 Saturday, Scranton MMA instructor Jeff Reese, Tom McGuire, and Frank Alogna headed to the far less historic town of Milford, PA to join Harry Brofsky and the crew at Tri State MMA for a training exchange program. The Scranton MMA trio were exhausted and excited upon the return home and reported a great session with Tri State standout bjj practitioners; Mike Bannon, Evan Bates, Ian Brofsky, and of course brazilian jiu jitsu brown belt Harry Brofsky. Many of Tri State’s blue and white belts were also in attendance to make this a memorable day. Sunday, head Gracie jiu jitsu instructor at Scranton MMA, Jeff Reese hit the road to Bloomsburg, PA for a training session at Reflex BJJ. Head instructor at Reflex BJJ, purple belt, Jason Moore assembled his bjj students for an intense training session. Jeff took the time to instruct a clinic at Reflex BJJ highlighting the escapes and counters to many of bjj’s most feared submissions and positions. After training technique Jeff sparred with the crew at Reflex and reported back that he was impressed with the technical improvements the boys have made since his last visit. Great work, Jay! A busy weekend at home and on the road for Scranton MMA proving once again there is no rest for the wicked …wicked awesome jiu jitsu! See you on the mats!